Mercedes-Benz builds some of the most intelligent cars on the road today. Here is some of the amazing technology that they use to make that happen. Intelligent Drive uses a series of cameras, radar, and sensors to constantly monitor the world around you. The goal? To avoid accidents avoid dangerous situations. A stereo camera and and multi-stage radar sensors act as the eyes and the ears of the car, recognizing obstacles such as vehicles, oncoming traffic and cross traffic, signs, and pedestrians. The data collected is then used by the assistance systems and both active and passive safety technology. >>Join the discussion about amazing Mercedes technologies right here in MBWorld.com. Your Mercedes uses the data collected from the camera and radar system to provide various types of driving assistance. 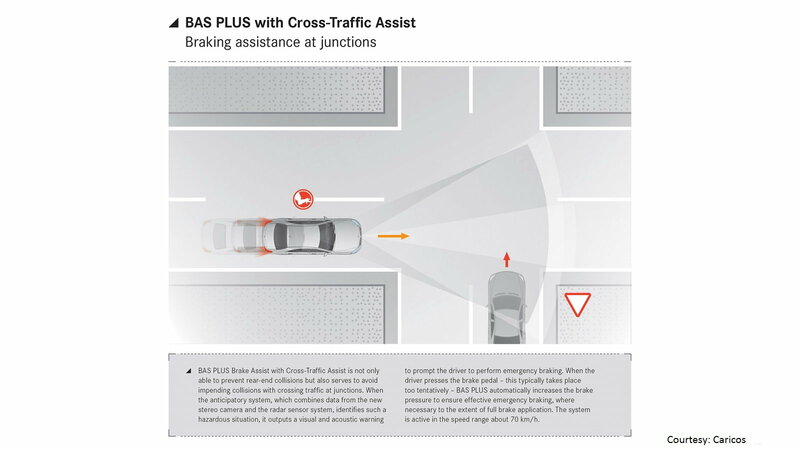 Braking Assist with Cross-Traffic Assist is able to detect cross traffic and pedestrians, providing braking when needed to avoid a collision. 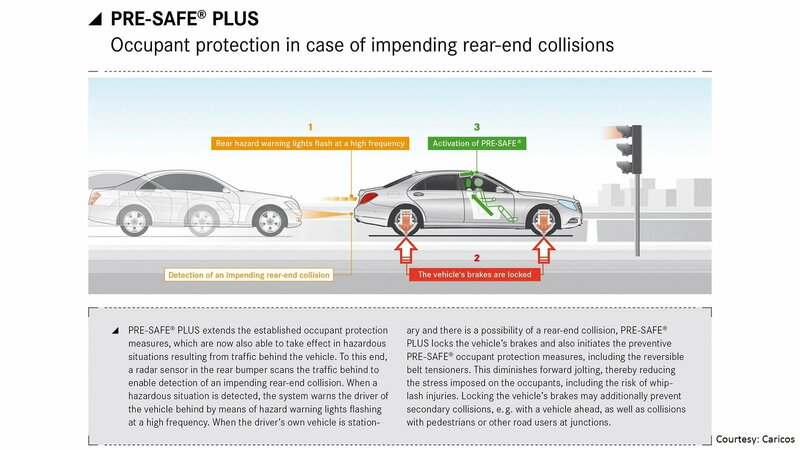 Braking force can also be increased by the system if necessary. Active Lane Keeping Assist works to keep you in your lane if there is a car in the lane next to you, or if one is coming in the opposite direction. Self automated driving and autonomous braking combine to do most of the driving for you. The system is capable of maintaining a safe distance between you and the car in front of you, or simply follow traffic ahead at the appropriate speed. It also keeps you in your lane, even if road lines are unclear or nonexistent. The system can even adjust the vehicle's speed to stay within the speed limit. 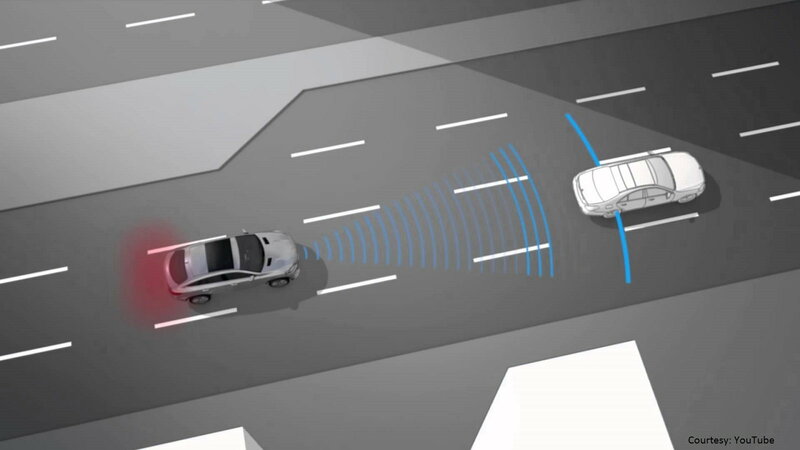 Autonomous braking kicks in when the car in front of you is slowing down or stopping. A lot of cars have automated parking these days, but Mercedes has taken things a step further. 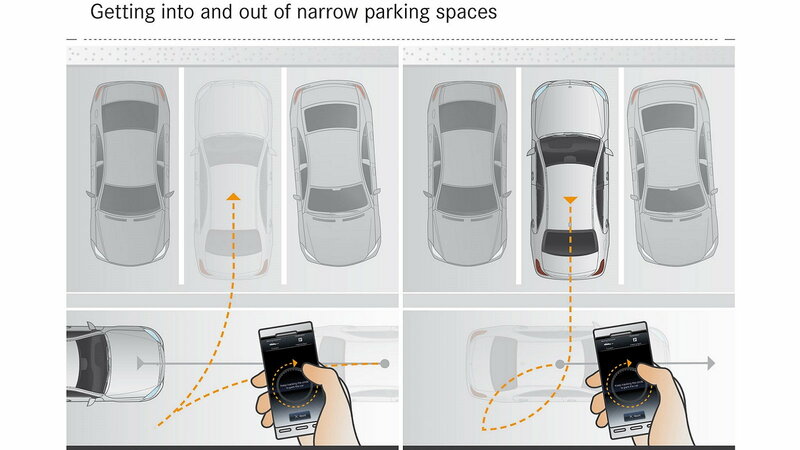 Drivers can actually stand outside the car and direct it into a parking spot using a mobile app. Or, simply pair their phone with the car and use the touchscreen as a key fob. Sensors guide your car into even the tightest spot, ensuring a scratch free city parking experience every time. Pre-Safe Plus has been updated with some pretty amazing safety technology. If your Mercedes detects an unavoidable side collision, it will preemptively inflate air chambers located in the backrest seat bolsters to move you and your passengers away from the danger zone. The system can even emit sounds that cause natural ear contractions to protect passengers from the sound damage a crash can cause from high pressure.